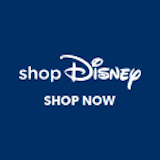 Content - DVCNews.com - The essential Disney Vacation Club resource! In the fall of every year, Disney Vacation Club publishes detailed budget statements for every resort for the coming year. These budgets detail expenses for resort services including housekeeping, maintenance and utilities. They also include property taxes and contributions to capital reserves which will ultimately be used for large scale projects like roof replacement and villa refurbishments. Below are links to side-by-side comparisons of these resort costs for each calendar year. Note that resort-to-resort comparisons may be difficult due to differences in property size, property location, nightly point costs for each villa, resort design and a number of other factors. The Historical Annual Dues by Resort are also summarized on THIS PAGE, showing the overall annual totals for each property since the inception of Disney Vacation Club. Following is a summary of all DVC resort budgets for the calendar year 2018. This information is intended to be a summary of information released by Disney Vacation Club Management Corp. For additional details reference the hardcopy budget documents issued by DVCMC or contact Member Accounting. The Member Operating Assessment is equal to the total Cost Components (Total Operating Expenses) LESS the Revenue Components. See below for a detailed description of each cost and revenue component. Sales tax on Support Facilities - State sales tax paid on Condominium's share of costs incurred in connection with the operation or maintenance of the Support Facilities in accordance with the Master Declaration of Covenanats Conditions and Restrictions encumbering the Condominium Property. Transient Occupancy Tax - Tax on timehsare occupancy in the City of Anaheim, California. Resort Access Fee - Paid to Ko Olina Club, LLC for providing to Members certain right of access to and benefits associated with certain Ko Olina Resort entertainment facilities and services. This cost component is only applicable to the Plan Budget. General Excise Tax - State tax that is a privilege tax imposed on business activity in the State of Hawai'i and the City and County of Honolulu. The estimate total tax due to the Stat of Hawai'i and the City and County of Honolulu on the items of expenses and revenues that are subject to the tax. Hotel Condominium Assessment - The assessment billed to the Vacation Ownership Condominium Association by the Ali'i Nui Hotel Condominium Association, Inc. for the Vacation Ownership Condominium Association’s share of the common expenses of the Aulani, A Disney Resort & Spa, Ko Olina, Hawai'i Condominium. See those Budgets for more details. This cost component is only applicable to the Condominium Budget. Shared Area Expenses - The Member's share of the Shared Area Expenses charged through the Vacation Ownership Condominium Assocation, for the Shared Areas that are not included in the Vacation Ownership Condominium. This cost component is only applicable to the Condominium Budget. Commercial Facilities Revenue - The Common Elements of the Vacation Ownership Condominium include parking garages, cabanas and beach facilities that generate revenue. The revenue generated from these facilities (less a separate management fee to DVCHMC of 10% of the revenues, plus tax, as compensation for operating the facilities) is used to offset Common Expenses of the Vacation Ownership Condominium. This revenue component is only applicable to the Condominium Budget. Shared Area Income - Shared Area income consist of funds received from the owners of interests or parcels in the Resort that are not part of the Vacation Ownership Condominium as their share of the Shared Area Expenses for the Shared Areas located as part of the Vacation Ownership Condominium. See Additional Budget Note 2. This revenue component is only applicable to the Condominium Budget. Following is a summary of all DVC resort budgets for the calendar year 2017. This information is intended to be a summary of information released by Disney Vacation Club Management Corp. For additional details reference the hardcopy budget documents issued by DVCMC or contact Member Accounting. NOTE: Most Polynesian Deluxe Studio villas have interior connecting door linking them to adjoining Studio. Guests booking two rooms for the same dates can request connecting rooms, but the request is not guaranteed. "Escape to a tropical retreat with swaying palms and white sandy beaches—just steps from the monorail taking you to the ultimate in fun at Magic Kingdom park! Disney's Polynesian Villas & Bungalows boasts the first-ever Disney accommodations to sit atop the water as well as the largest Deluxe Studios at any Walt Disney World Resort." The morning "Best Friends Breakfast" features a character meet-and-greet with Lilo & Stitch and other Disney friends. Food is served family style, including scrambled eggs, potatoes, fresh fruit and more. Dinner is also family style, featuring a selection of Polynesian flavors including sweet & sour chicken and szechuan steak. Advance Dining Reservations are accepted 180 days prior to visit. Asian touches accentuate American cuisine in this casual Table Service dining establishment. Cinnamon and banana-stuffed Tonga Toast is a breakfast favorite. Quick service dining includes traditional breakfast fare (eggs, Mickey Waffles, etc.) in the morning along with a pleasant variety of selections throughout the day. Indoor and outdoor seating is available. Well-themed tropical tiki bar features a selection of appetizers and unique alcoholic beverages. Trader Sam's is open to all guests prior to 8:00pm. After 8:00 only guests age 21 and older will be admitted. Hosted in the open-air Luau Cove theater, this all-you-can-eat dinner show features many island delights including BBQ ribs, pulled pork and pineapple-coconut bread. During the meal, performers delight guests with traditional hula dancing, fire dancing and more. This 120,000 gallon feature pool includes a "volcano" which erputs throughout the day, along with a 142-foot waterslide. The pool features a zero entry slope, wheelchair access and a hot tub. Towels are provided. Lounge chairs are available on a first-come, first-served basis. Life jackets may be borrowed (free) from nearby location. Access to the gated pool area is restricted to Polynesian resort guests only. Pool hopping is not permitted. Renovated in 2016, the Oasis Pool is a zero-entry facility with ample deck space for loungers, a pool bar, quick service dining establishment and restrooms. Lifeguards are not provided at the Oasis Pool. Following is a summary of all DVC resort budgets for the calendar year 2016. This information is intended to be a summary of information released by Disney Vacation Club Management Corp. For additional details reference the hardcopy budget documents issued by DVCMC or contact Member Accounting.